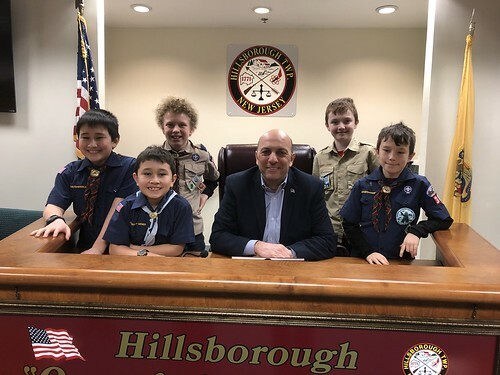 Late last month, two Boy Scout troops from Pack 1776 and Pack 389 working on their Arrow of Light Award met with Mayor Frank DelCore. One of the requirements of the Arrow of Light Award is to visit a community leader and learn about the duties of the job or office. The boys came prepared to discuss important issues in our town and Mayor DelCore fielded their many questions. Parents were also in attendance. 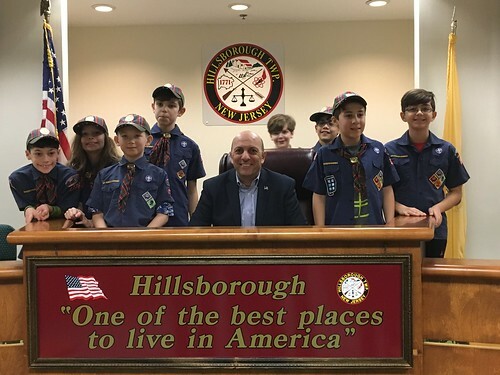 Pictured: Aidan Adamo, Ethan Mauriello, Gavin Grouser, Peter Anderson, Mayor Frank DelCore, Marcus Bulawski, Siddarth Itagi, Anthony Guerrero and Andy Bourey.